Implant dentistry is an advanced method of replacing missing teeth using a small titanium post that is implanted into the jawbone during a small surgical procedure. Implant dentistry does require a great deal of skill and experience as there are numerous different implants systems that may be used. How Could Implant Dentistry Help Me? Implant dentistry could be worth considering if you are missing even a single tooth. It can be particularly advantageous for anyone missing multiple teeth or who currently wears full dentures. Often dental implants can be used to secure a complete arch of teeth, holding them firmly in position so it is much easier to eat and speak. Most people are suitable for treatment, but a detailed assessment will be required to determine your suitability. Here at St Vincent’s Dental Centre we work closely with Dr Dragan Grubor, an oral and maxillofacial surgeon who is able to ensure that our clients benefit from the most appropriate implant treatments. 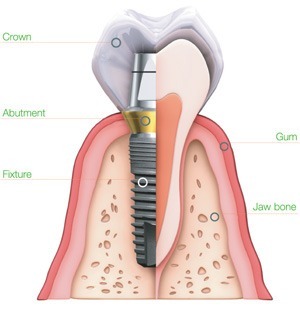 We pride ourselves on providing the newest and most advanced implant techniques and procedures which include All-on-Four and mini dental implants. Every single implant component is of the highest quality and you’ll find Dr Grubor plans each surgery meticulously. 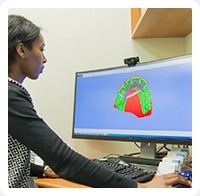 Treatment is planned using the very latest cutting-edge technology which includes our on-site Cone Beam CT Scanner. Every detail is considered to ensure treatment is safe, comfortable and smooth and so you don’t need to worry about a thing. For more information on dental implants, speak to our friendly team on (03) 9419 7022. We are located at 3/55 Victoria Parade, Fitzroy Victoria 3065.